It's finally Friday again, which means it's time for another edition of Yumeko's Friday Photo Meme. This week's theme is new stuff! Picked up a Lancome Rouge In Love 340B Rose Boudoir with a 20% voucher at Sephora in France recently. 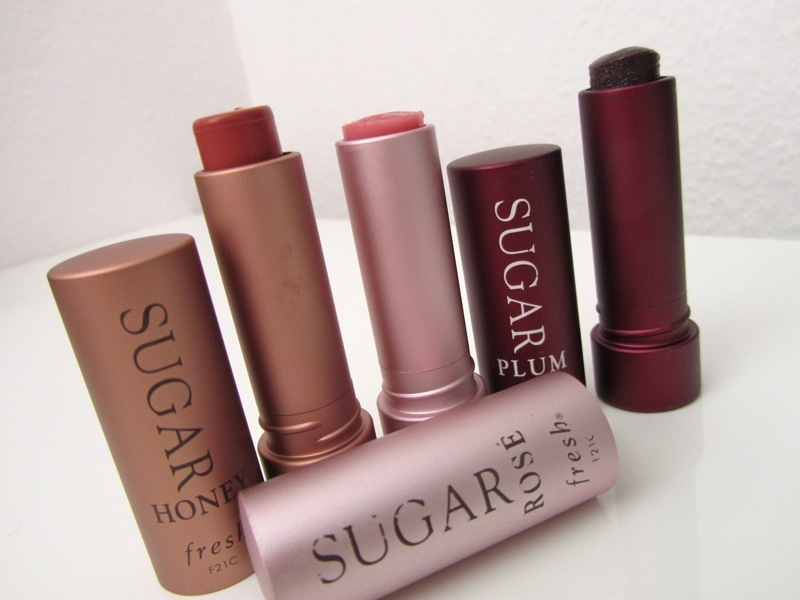 It's a bright feminine pink, with creamy, opaque coverage. Kas sent me a surprise package recently that included this Lakme Eye Color Quartet in Peacock. The rich jewel hues offer lots of creative combinations. It's been a long week of irritable moods and mundane tedium. What kept me sane was marathon Watsapp chats with dear Mag and unwinding at the end of the day by watching Mentalist and Castle (Simon Baker and Nathan Fillion never fail to make me laugh). In the mornings, Ayumi Hamasaki's new album, Party Queen, gets me ready for the day. Now that summer is almost here, I'm depending on Biotherm Lait Solare SPF50, which has a lovely soft citrus fragrance, and my arsenal of Fresh Sugar Tinted Lip Treatments with SPF15 to protect and hydrate at the same time. I just finished the Rose version and am looking forward to purchasing the new Coral shade. It came as a surprise to me that Fujifilm is behind the premium Astalift skincare line, which recently debuted in the UK and France. Fujifilm leveraged on its expertise and understanding of the process of oxidisation and nanotechnology to design this line, which I first read about on Yumeko's blog. When I chanced across a store offering a 30% discount, I quickly snapped up the Moisture Foam Cleanser, Priming Lotion and Jelly Aquarysta. The cleanser is average but I do like the lotion and Jelly Aquarysta very much. Both have a soft rose scent and help to hydrate and plump up the skin. 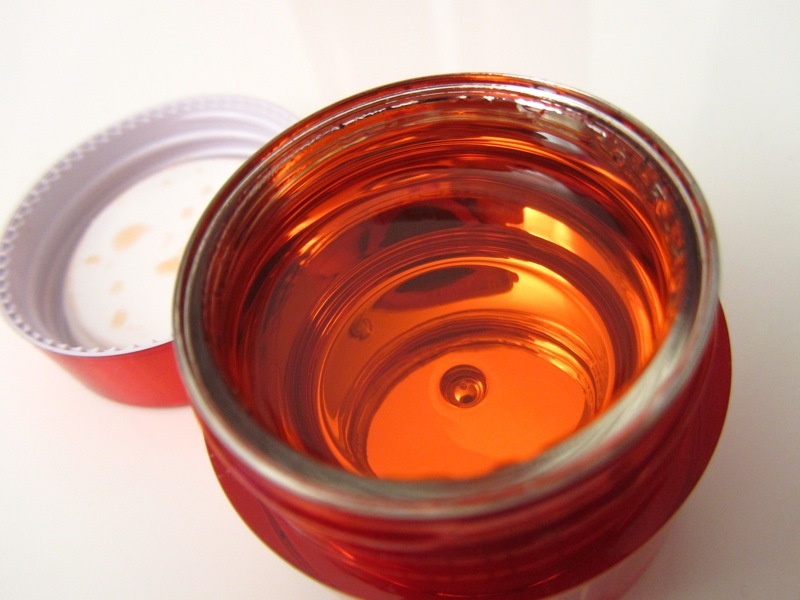 The Jelly also melds back to a perfectly smooth surface after each use, so it always looks brand new. 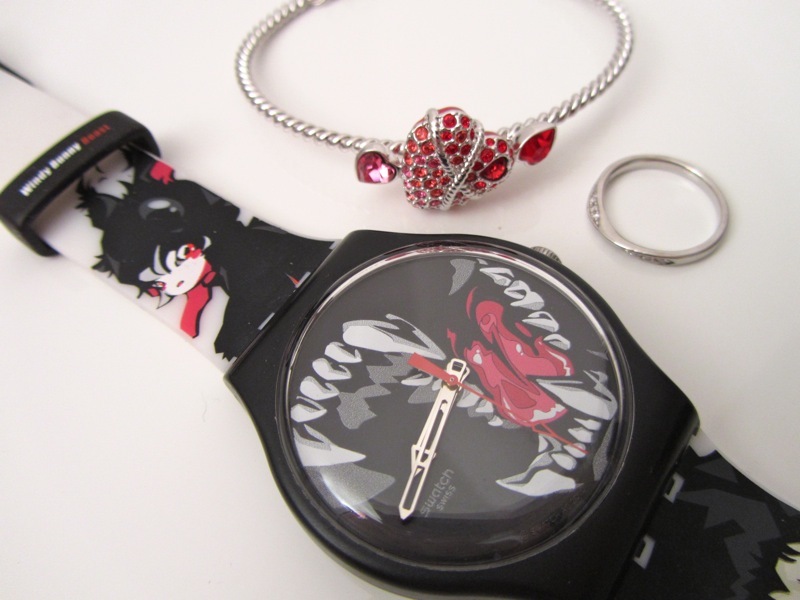 My standard complement of accessories: Windy Bunny Beast Swatch, a Swarovski bangle that my husband gave me for our anniversary this year and my ring. I'm not familiar with the Windy Bunny Beast character but the fierce design just caught my eye. 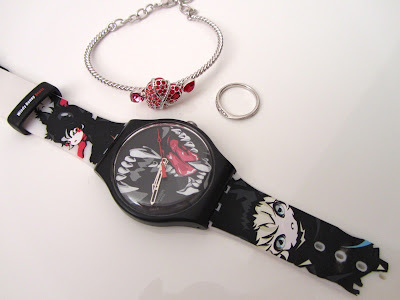 Do join in if you have a blog by leaving a comment on Yumeko's post and here with a link to your blog post, and I'll be sure to check it out! Hi Iris, can you share the store which gives you the 30% discount for Asta? Thanks. yay! thanks for joining again! i never tried lakme, but their colors always look so pigmented and vibrant! i love castle and the mentalist too! nathan fillion cracks me up so much. i have a fren's dad who reminds me of him. i agree with u on the astalift cleanser. i dont think much of it. i find the toner from the whitenig range better than the usual range. but the best is the jelly. the bracelet your hubs gave is lovely!!! 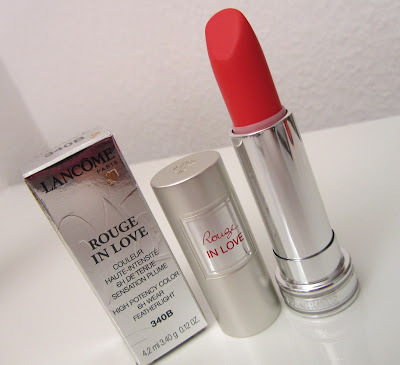 I am envious of people outside of Asia who get a different formulation for the Lancome Rouge In Love! What we got here in SG is the Japanese formulation so the colours are sheerer. :( I was soooo looking forward to swatching Rose Boudoir in its creamy opaque goodness! Hi Haru! I've been meaning to try the Astalift for some time. Do have a review when you can. Thanks for the post. It was a Nocibe beauty store in France. It had a special promotion instore that is not available online. 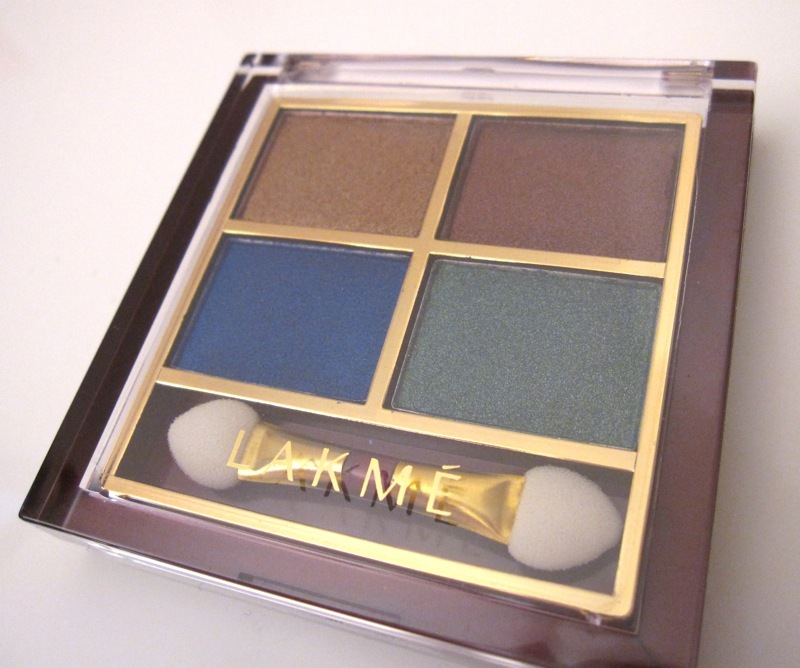 Lakme has very lovely rich colors. It's an Indian brand and the quads are made in Taiwan. I adore Nathan Fillion, ever since Firefly. I hate it when companies release different versions for different regions, as it gets so confusing. 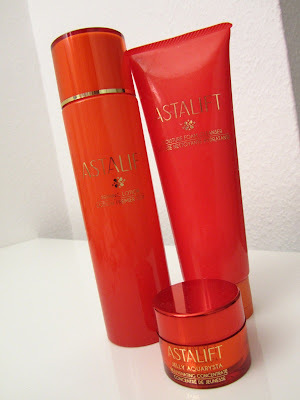 I'll review the Astalift after I've tried it out for a longer period. OOooo love this post! I will also be joining I think! 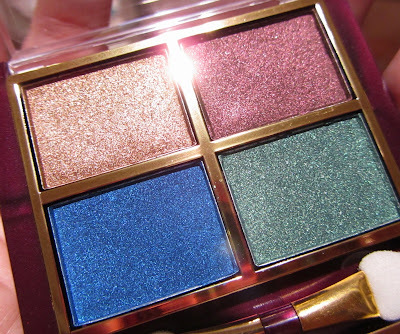 The Lakme palette has such pretty colours! And the bracelet your hubs gave you is gorgeous :D Have a great weekend! I love Lakme eyeshadows, and those jewel-toned shades look right up your street! Thanks, just checked out your blog, it's a great read! Nathan Fillion as Captain Tightpants will always be my number one misfit hero. I will never be able to fathom why it lasted half a season while shows like One Tree Hill and Gossip Girl run for many years. Our Whatsapp chats have kept me sane too! And I love reading these meme posts. I should join you girls once I get my act together blog-wise.